One of our most popular feature requests has arrived! 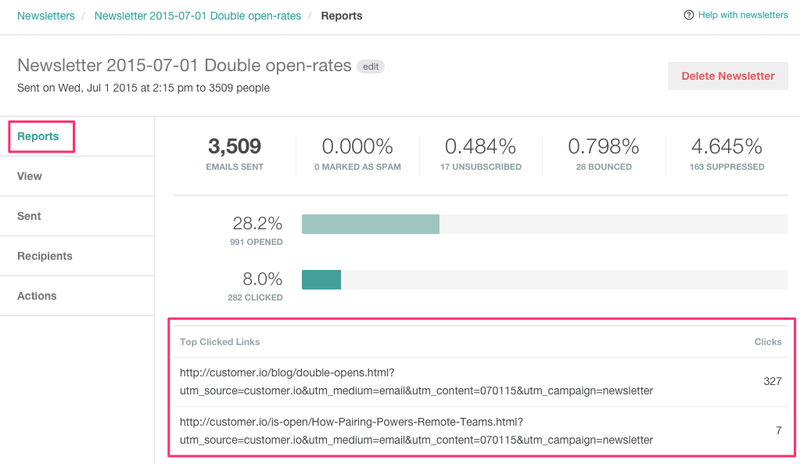 See which specific link is getting clicked on — and how many times — inside every email. For triggered campaigns, you’ll find this individual link tracking information by heading to a campaign’s overview and scrolling down to the “Recent Metrics” section. 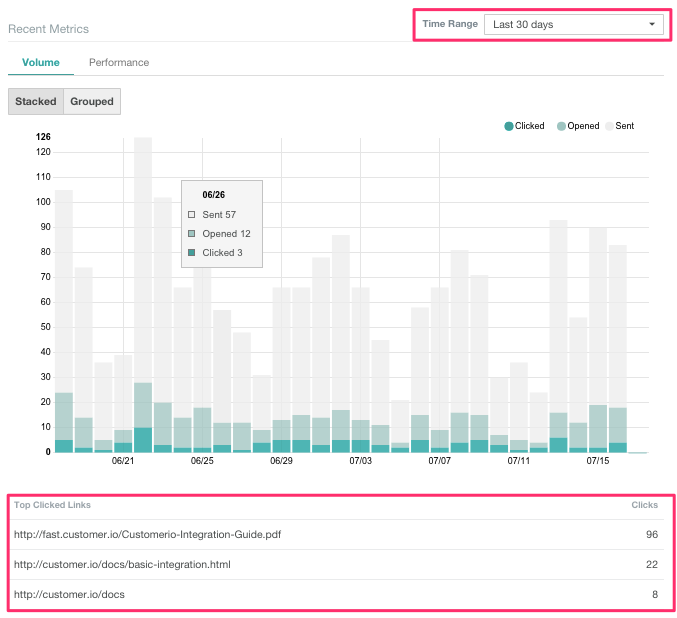 Underneath the volume and performance charts, you’ll find a list of individual links and number of clicks for each. Select Last 30 days, last 12 weeks, or last 12 months to see clicks by time period. If you’d like to see the link tracking metrics for an individual email in a campaign, head to the “All-Time Metrics” section and choose an email from the dropdown on the right. For newsletters, head to the Reports section for link tracking data, which you’ll see below the rest of your newsletter email metrics. (Since newsletters are one-time sends, there is no time-series data.) Let us know your thoughts about individual link tracking! Share in the comments or email us at win@customer.io.